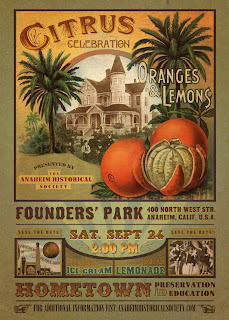 Founders' Park, 400 N. West Street, Anaheim, Calif.
Join the Anaheim Historical Society at the newly opened Founders' Park and celebrate the agricultural era for which Orange County is named. 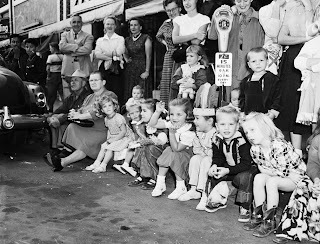 Enjoy presentations by Jane Newell of the Anaheim Public Library's Heritage Services, Artist Kevin Kidney, and a preview of Anaheim's landmark Citrus Packing House project by Lab Holdings! 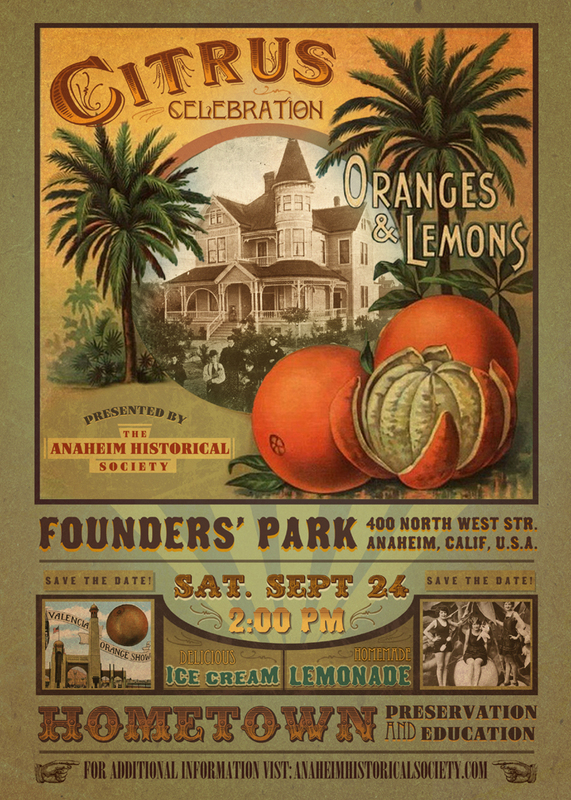 Plus old-fashioned orange soda & vanilla ice cream floats provided by Ruby's Diner, fresh-squeezed lemonade from Anaheim lemons, and free tours of the historic buildings at Founders' Park! Admission to the event is free, and open to all ages. 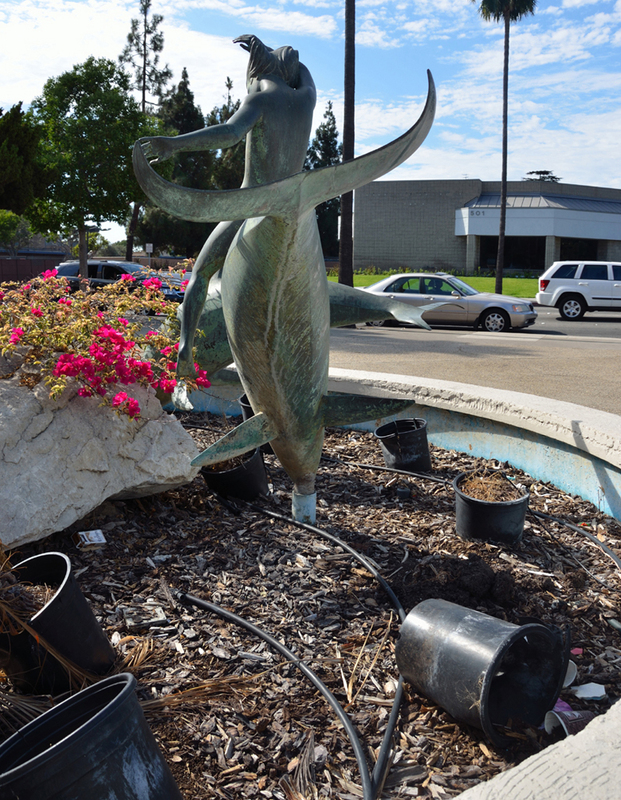 BECOME A MEMBER of the ANAHEIM HISTORICAL SOCIETY during the event (or RENEW your existing membership) to be entered in our drawing for a free citrus tree courtesy of Anaheim TreePower! Near a busy sunlit intersection in Anaheim dominated by the sounds of traffic and occasional air-brake hiss of city busses, a young child is going for a joy ride with a trip of dolphins. His arms outstretched like a rodeo bronc buster, the youth seems barely capable of keeping his seat, as the creatures slip over and below the waves of an imaginary sea. John Edward Svenson's sculpture celebrating the joyful spirit of childhood has enhanced the southwest corner of Harbor Boulevard and Lincoln Avenue (one mile north of Disneyland) for over forty years. 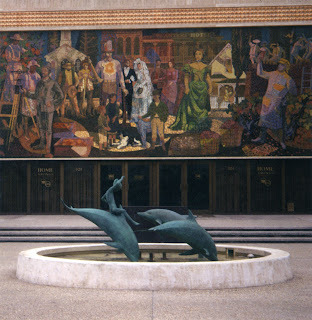 The bronze cast was commissioned for Anaheim's Home Savings of America branch in 1970, to accompany Millard Sheets' brilliant tile mosaic depicting the early years of Anaheim history. 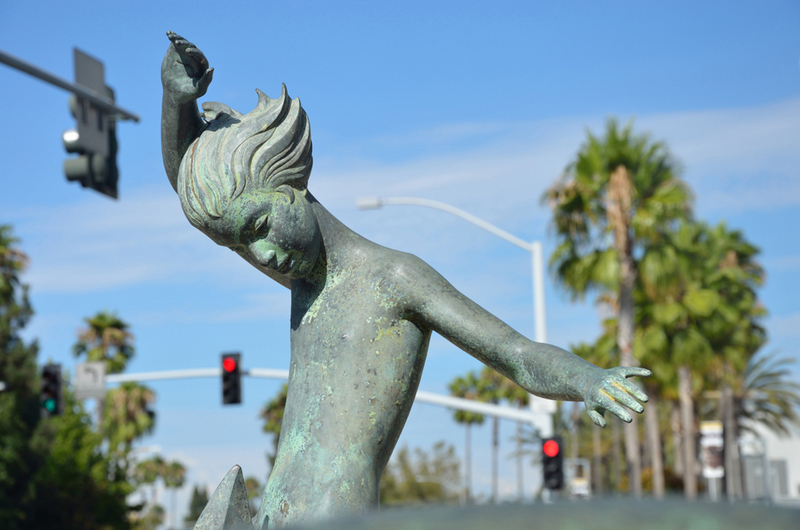 Through his association with the Sheets Studio from the 1950s through the early 1970s, Svenson produced more than twenty sculptures for Home Savings and the Ahmanson Corporation all over Southern California. 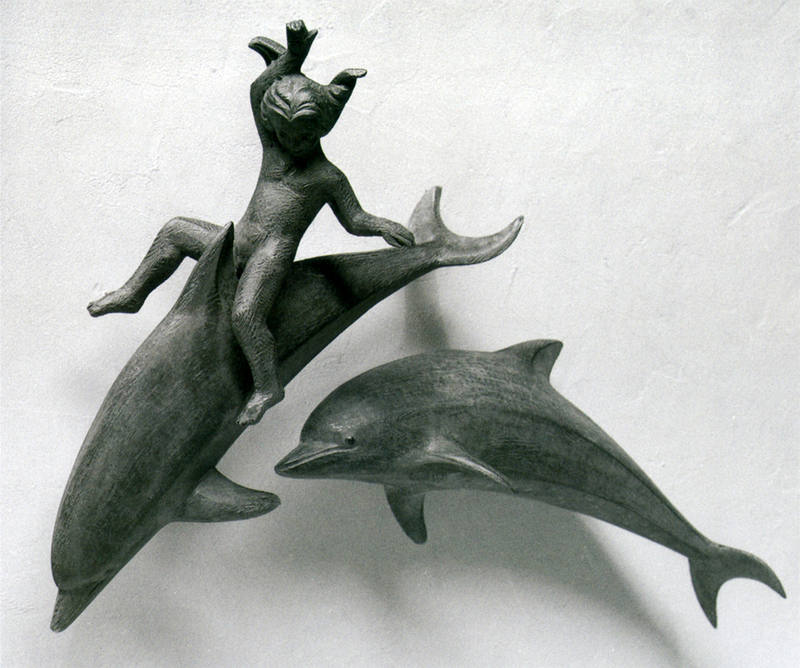 Plaster presentation model, 10" high. 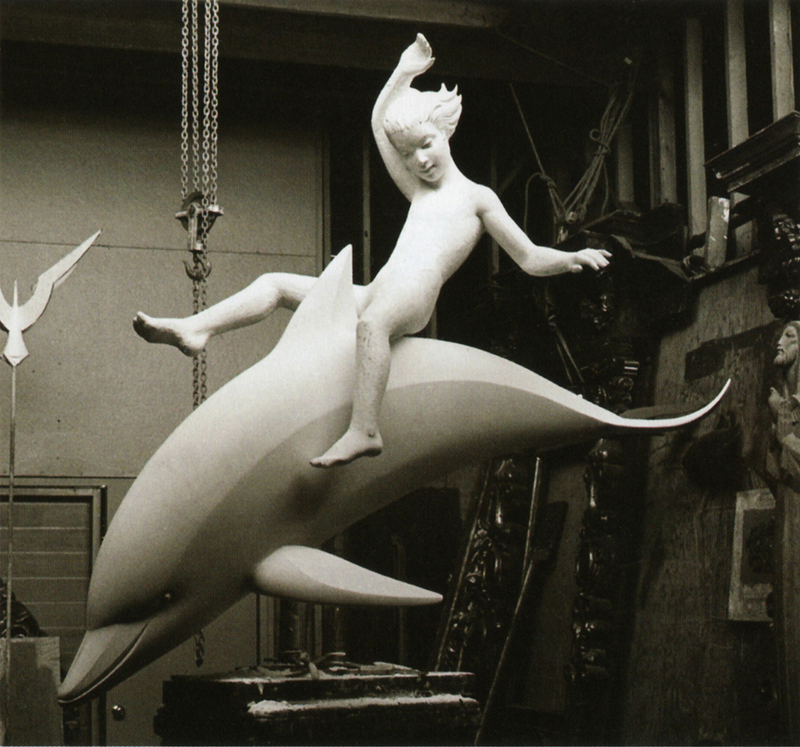 1970, the original full-scale plaster pattern in Svenson's Studio. A beautiful new book "Exploring Form: The Life and Sculpture of John Edward Svenson" by the artist's son David is now available and is an enjoyable way to become re-acquainted with Svenson's amazing body of work. 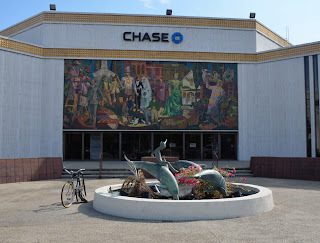 Wouldn't it be fantastic if Chase Bank would maintain Svenson's sculpture with the care and respect that it deserves? 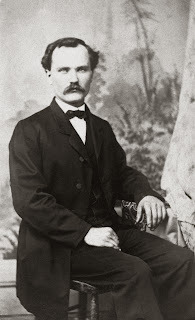 Bavarian-born, Anaheim resident Friedrich Conrad started his first brewery, the California Brewery at 113 Adele Street between Lemon and Los Angeles (now Anaheim Boulevard) Streets. 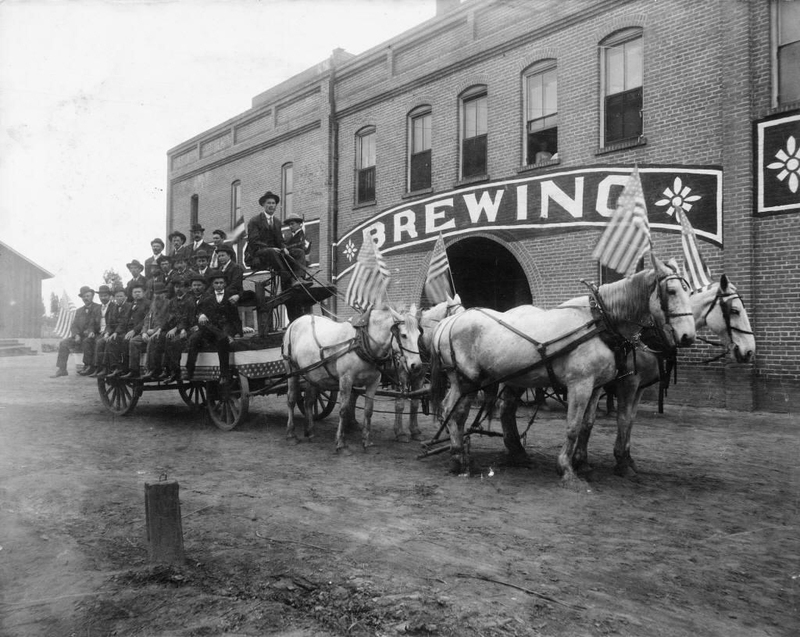 The brewery was so popular that on May 24, 1888, Conrad purchased 10 more acres on Broadway in West Anaheim. 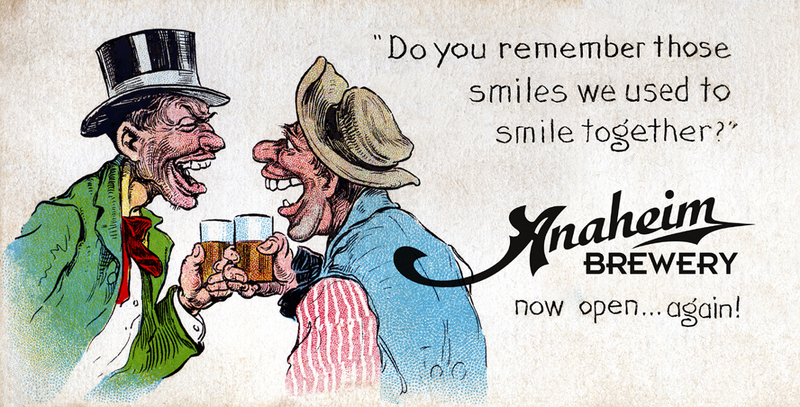 There he built a vast brick building and named it the Anaheim Brewery, famous for its "Anaheim Beer." On the west end of the brewery, Conrad established a little park with trees, tables and benches, and a central pavillion. The park was known as Tivoli Gardens, and later Columbia Gardens. 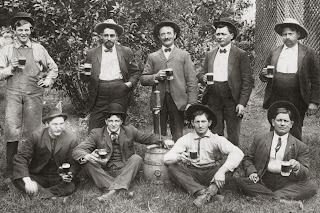 The park quickly became a popular gathering place for picnics, with people bringing their own food or buying sandwiches and beer at the brewery. 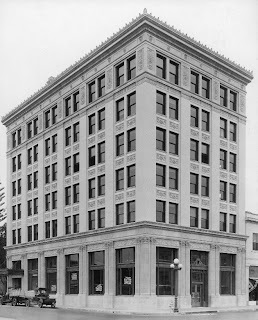 The Anaheim Gazette noted in 1890 that Conrad's beer "appears to be fully equal if not superior to the celebrated Anheuser beer of St. Louis. Besides it is a stictly Orange County product and all who are in the habit o using beer should give it a trial if only to encourage home industries." In 1904 Conrad sold the Anaheim Brewery to the Joseph and Anton Hessel who renamed it Union Brewing Company. The family continued to make beer until National Prohibition closed the taps in 1920. 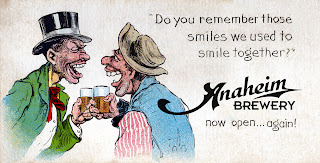 Happily, after a ninety year hiatus, Famous Anaheim Beer is back again, with six delicious hand-crafted brews on tap, including Anaheim 1888.
art and architecture of Anaheim, and to preserve these memories for future generations." 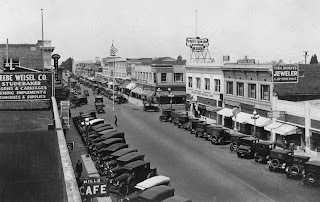 Welcome to the Anaheim Historical Society's online newsletter, The Anaheim Gazette! 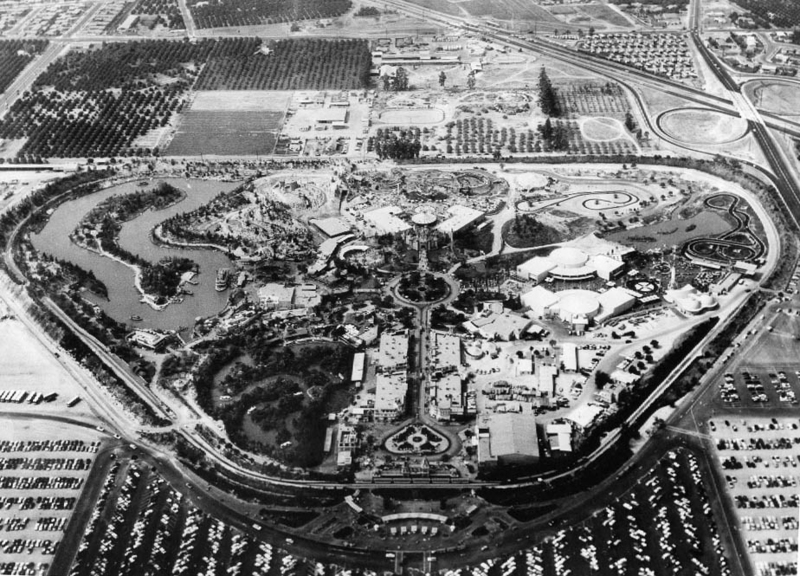 Chances are pretty good that even if you don't live in Anaheim, you've probably visited our city before. 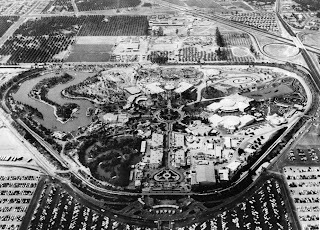 Disneyland, the Anaheim Convention Center, Angels Stadium and other famous attractions occupy land that for almost a hundred years prior had been farmland -- producing citrus, walnuts, and, for a brief period, grapes for wine. 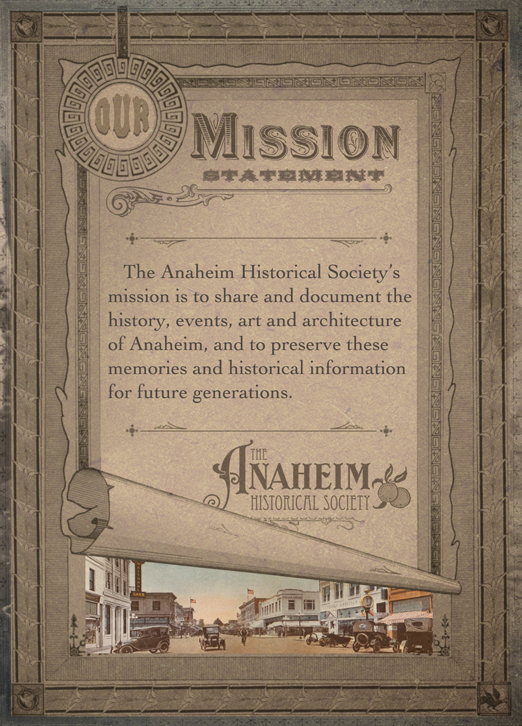 This November marks the 35th anniversary of the founding of the Anaheim Historical Society in 1976 by a group of neighbors committed to preserving and protecting our city's history. 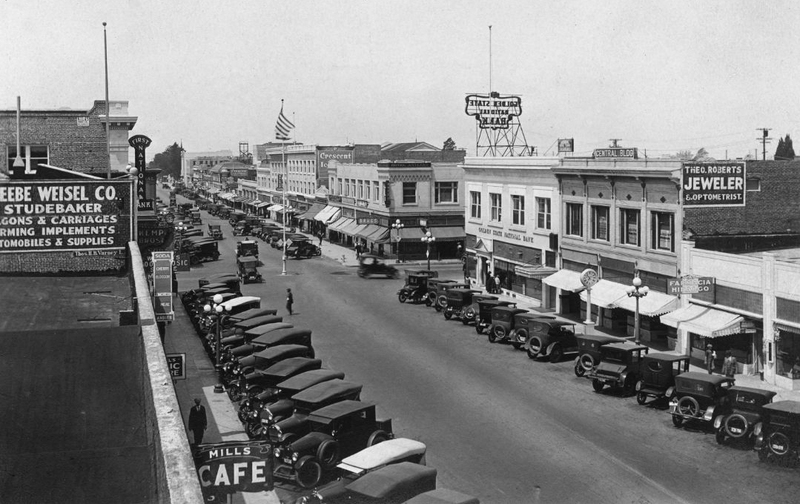 That same year, in spite of the Society's efforts, many buildings in Anaheim's historic downtown were lost forever in the name of progress. The AHS was incorporated in May 1978 as a California non-profit organization dedicated to the preservation of local history and fostering community pride through the knowledge of those that came before. 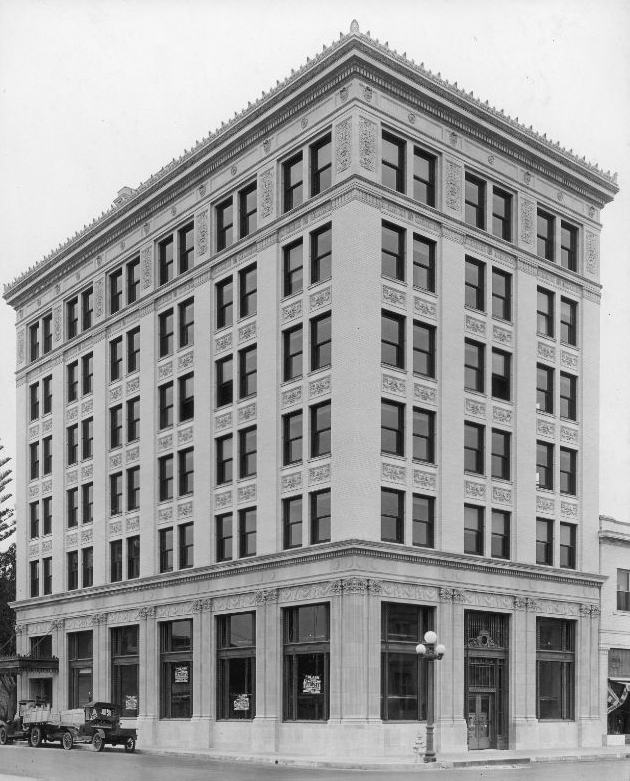 Anaheim’s first “skyscraper”, the 1925 Samuel Kraemer Building was listed in 1983. 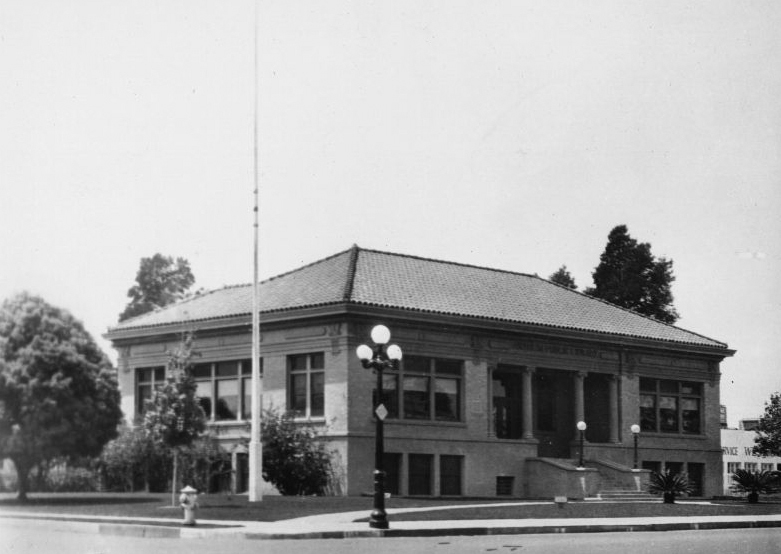 The 1908 Anaheim Public Library building, a gift from Andrew Carnegie, nominated in 1979 was restored and reopened in 1987 as the Anaheim Museum. 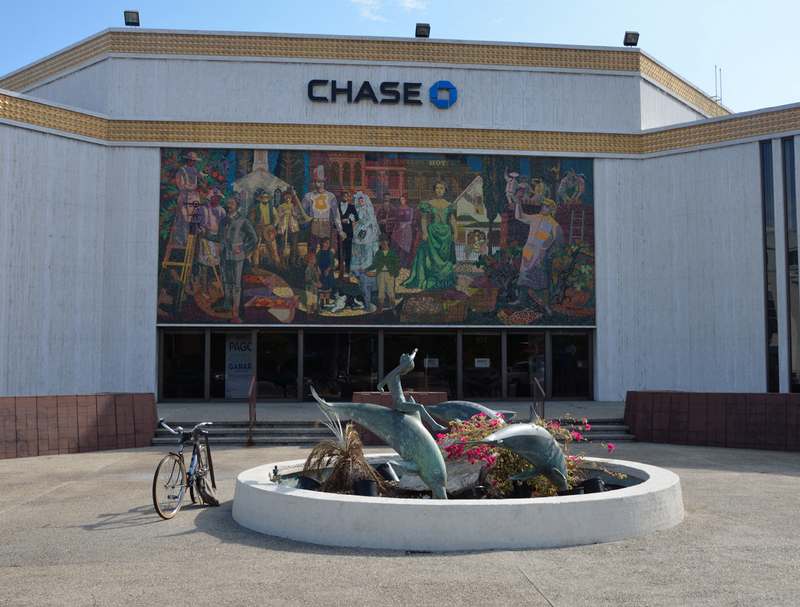 Today it is part of Downtown's popular MUZEO complex which includes the Anaheim Heritage Room, also open to the public. 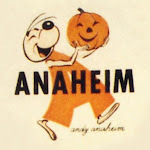 The Society has published several books including: “Anaheim’s Colorful Heritage”, “A Guide to Historic Anaheim”, and a 3-volume series titled Biographical Sketches of Anaheim. 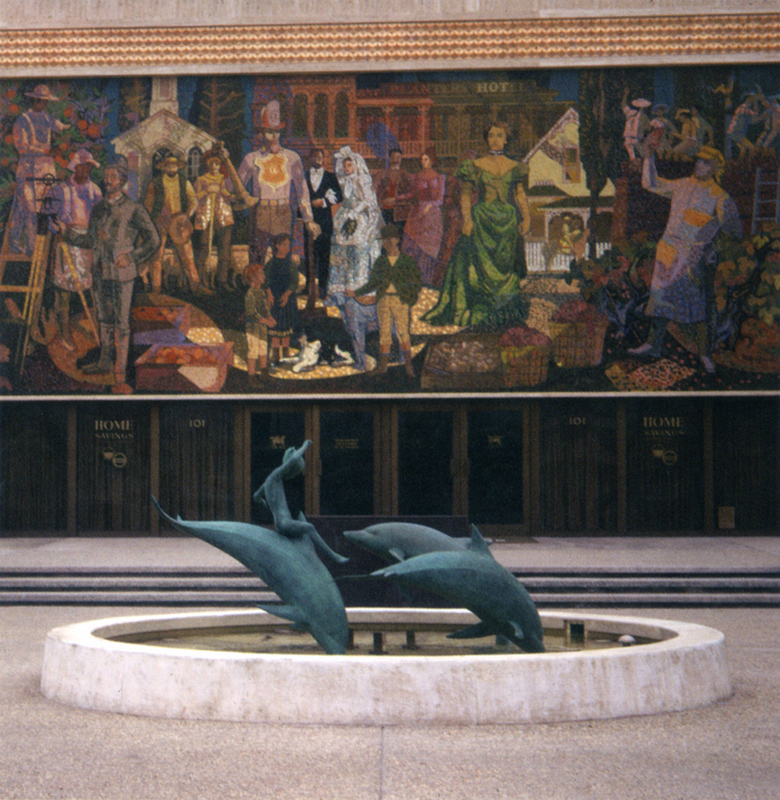 Since 1978, the AHS has hosted occasional Historic Home Tours to showcase Anaheim’s existing architectural treasures. Special events spotlighting a variety of local historical subjects are planned each year. 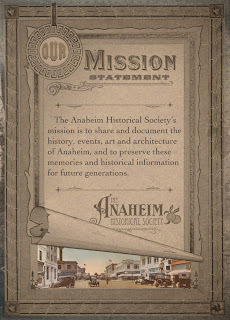 We hope you become a member of the Anaheim Historical Society and show your commitment to preserving our city's very unique history, the people, events, architecture, and works of art that define our past, and continue to shape our future.